I’m always highly anticipated in attending hands-on event. When I received the invitation from Mothers Work last month, I was so excited for the event day to come. On the invitation email, it stated RICE.dk team will fly all the way from Denmark to Singapore for this event and littlemissbento going give us a lesson on food styling and bento-making! RICE is a Danish home wares and accessories company. They are known for our colourful melamine, handmade baskets and storage, and our hand glazed tableware. I’m always attracted to their colourful home wares whenever I patron Robinsons and Pasarbella. Now I got a chance to know the brand better and get to see their latest collections at Mothers Work. The event was held at Mothers Work Great World City. Mothers Work stores are created to offer that total shopping experience at different stages of parenthood. Their mission has always been to partner with mothers and mothers-to-be from the time they are pregnant to when their babies become toddlers and beyond. Apron in Swallow Print was provided for me! We have the Rice.dk team specially flew from Demark, Lisa and Dagmar. They warmly welcomed us and gave an introduction on Rice. RICE was founded late 1998 by Charlotte. She named named the brand RICE because rice is a basic food item and in many countries it is vital for survival. This is why the name appeals to them. In fact, many people in Madagascar receive a bag of rice as part of their salary. Rice wish to surround you with homely objects – down to earth but still funky, fun and functional. After the introduction, let’s get started on the bento-making workshop! This is Shirley @littlemissbento she is a well-known food stylist artist, her instagram is filled with her cute creations. She do share the recipes and tutorials on her blog littlemissbento.com as well. 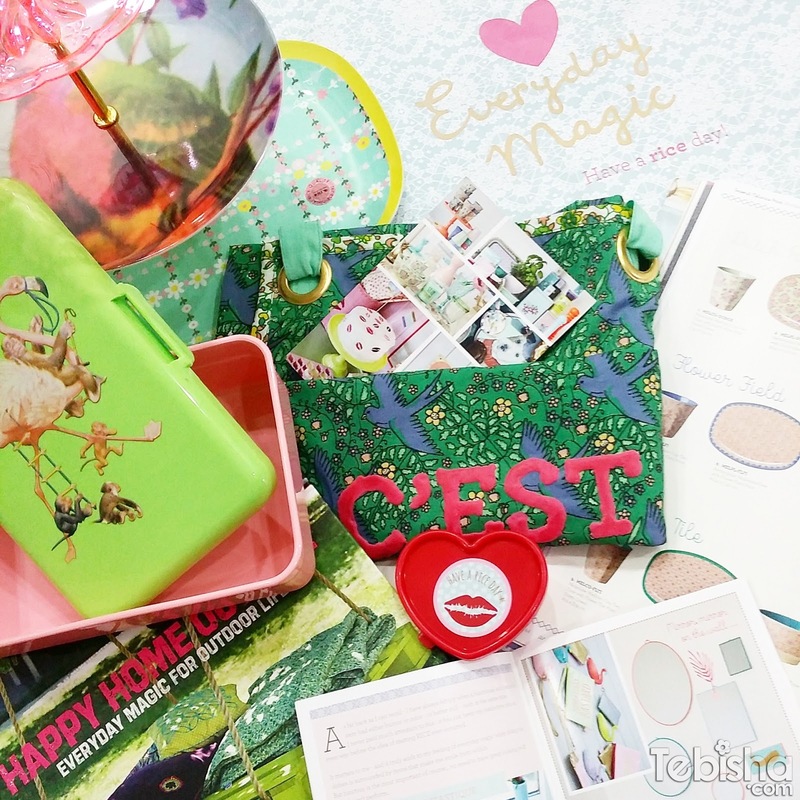 Kids Lunch Box with Retro Flamingo Print is for us to place our food. Making of rice balls, guess what is that for? Now you know what’s the rice balls for? Tadah~ My completed bento! Bear and Whale! Bear and Whale bento was inspired by Rice Kids Tableware range Kids 3 Room Bear and Whale Plate. Group photo with Rice.dk team, Shirley and bloggers. Event ended with a mini tea-party with the team. Many Thanks Magdalene from Mothers Works for the invitation and hosting the event. Kudos to Mothers Work, Rice.dk and Shirley (littlemissbento) for making this event so fun and wonderful! Lovely goodies we get to bring home! So grateful to be part of the workshop and thanks RICE for the generosity! [Event] THEFACESHOP Make Up On The Go!